The team behind African Heart Expeditions Ltd.
African Heart Expeditions is a class "A" licensed safari operator, with a mixed Tanzanian/European/USA management. Our headquarters is in Arusha, with a branch office in Zanzibar. The company was founded in 1999. Safaris & Tours0– Offered by African Heart Expeditions Ltd.
No safaris offered by African Heart Expeditions Ltd. on SafariBookings at the moment. 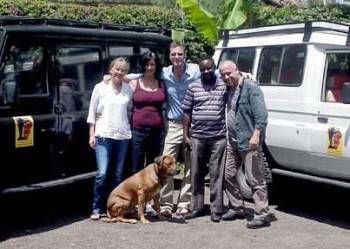 Reviews28– About African Heart Expeditions Ltd.